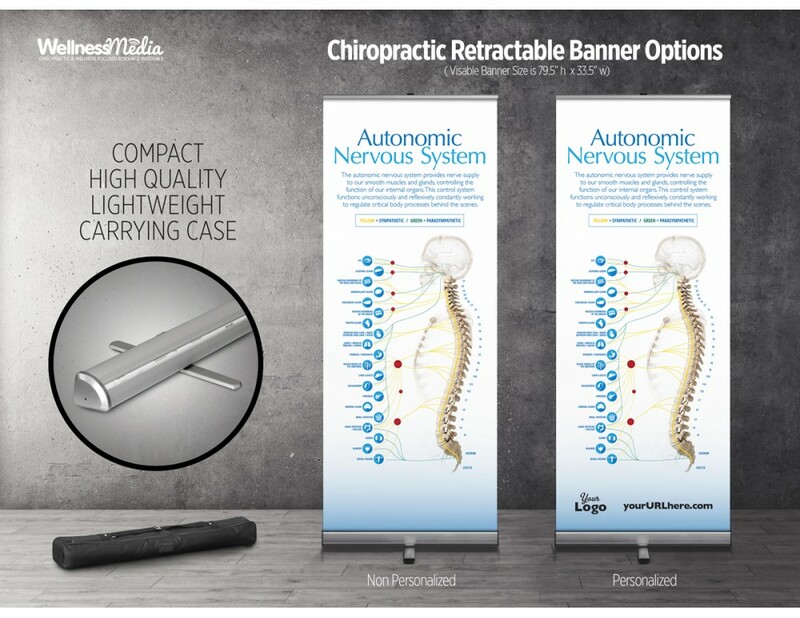 This retractable banner features our chiropractic ANS poster, a classic piece of chiropractic patient education. Choose your desired banner option: Standard or Personalized (Practice Logo and URL). If choosing the personalized option please enter / upload information in the "Product Personalization" tab and hit save before adding product to cart. For any personalized orders, a proof will be provided via email within 24 hours for final approval before printing. Please note that personalized banners are produced on demand, which requires a 2 to 3 day production time after proof approval. After saving your personalized product, remember to add it to your cart.